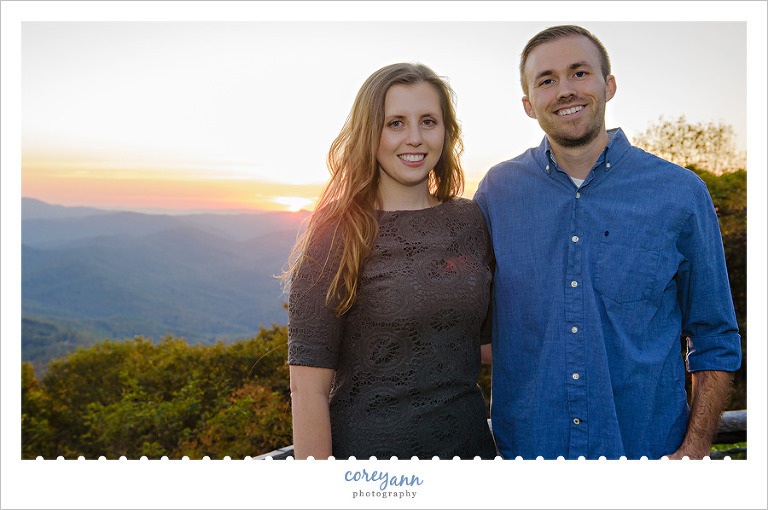 Last October I met up with Katie and Matthew at the beautiful Wintergreen Resort for their destination wedding. My husband and I drove in the night before and checked into the resort (which I highly recommend) and spent the day of their rehearsal scoping out the resort and seeing what locations worked and didn’t. 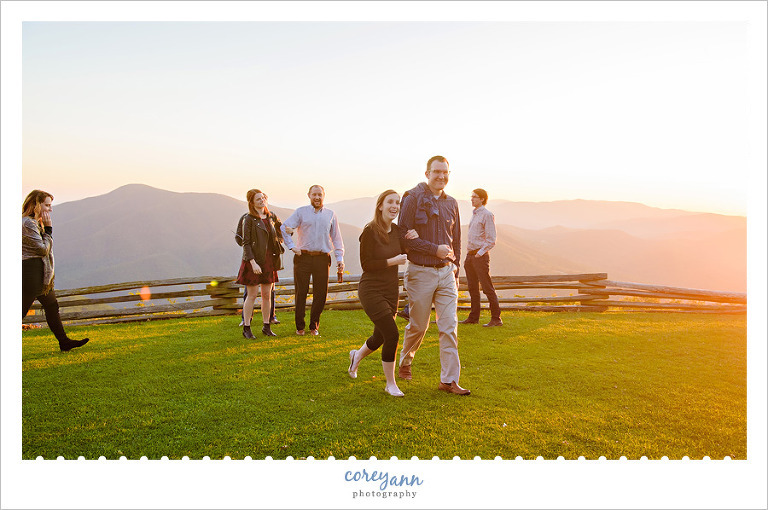 In a smart move their rehearsal was nearly the same time as their ceremony was scheduled the next day at the Blue Ridge Overlook so not only was I able to see how their ceremony would be in regards to placement and timing but also in regards to lighting. Sunset is a beautiful but tricky time of day when it comes to light so I was glad to be able to see how the light was before the big day. 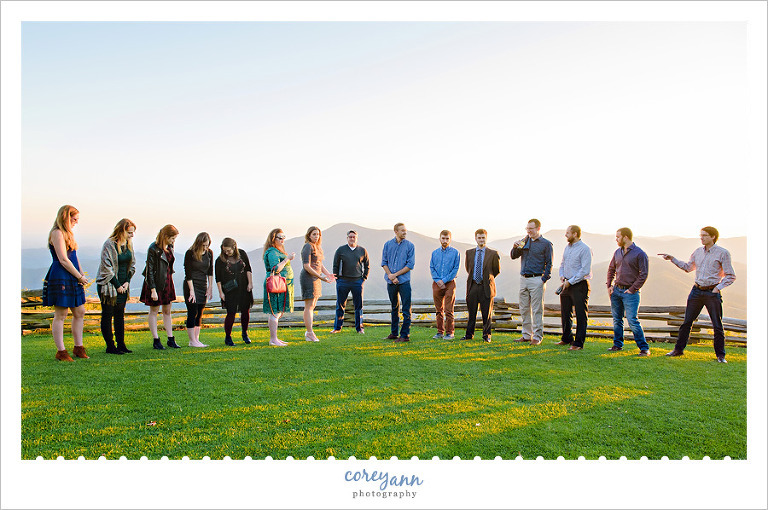 It was also nice to get to know everyone before the wedding day so I wasn’t “hey you” to everyone and same to me! I mean, this is terrible . Why would anyone have their wedding ceremony here? It’s just grass. Ho hum. Seriously, this ceremony location is amaaazzzzing. You may recognize Molly and John as I photographed their wedding a few years ago! I love when I can catch up with old clients! 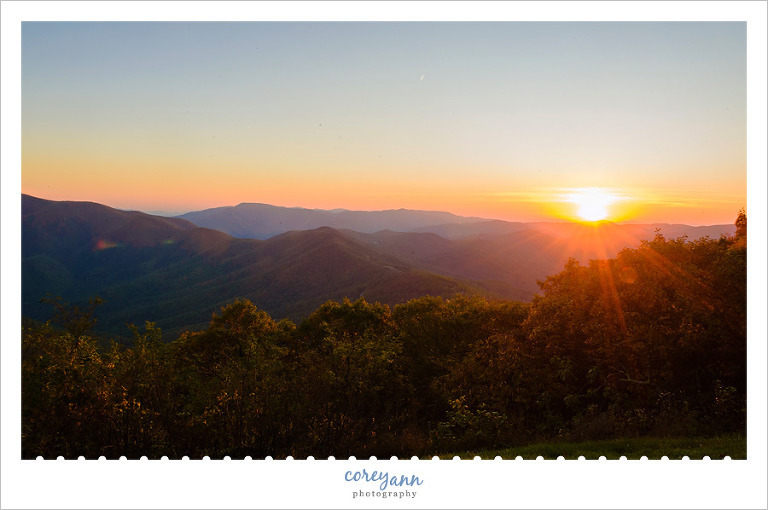 The sunset was AMAZING – along with the views! As the sun dropped beneath the mountains they ran through everything one more time and I played with the silhouettes. Legit one of the most beautiful spots I’ve ever been to for a wedding. Once the sun had set and everyone had their parts mostly sorted out everyone headed down to the Wintergreen Lodge for the Rehearsal Dinner. After everyone was full from their meals Katie and Matt had a few people stand up and give them fun and lovely toasts before their big day. Lots of smiles and all the love for these two! Next up is their wedding which was AMAZING.